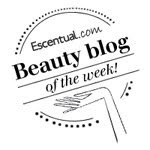 BeautySwot: Winner Of The Elemis Freshskin Peachy Perfect Giveaway! Winner Of The Elemis Freshskin Peachy Perfect Giveaway! Thank you so much for the entries to the Elemis Freshskin Peachy Perfect Giveaway! Thank you, I never normally win anything!